The head of the Vlora Appeals Court Alma Liçaj has been stuck in Vetting. Two days after her confrontation with the Independent Qualification Commission (ICQ), today is stated the decision, according to which she was discharged from duty. Liçaj is charged with concealment and lack of financial resources for her properties consisting of a house and 5 apartments in Vlora and Tirana - while she preferred to avoid explanations by standing in written arguments. Three days ago, the judge Liçaj declared innocent Shpetim Gjika. Her decision came three days after the Vlora Court of Appeal declared inocent the former mayor of Vlora, Shpëtim Gjika. He was accused by the Vlora Prosecution for four counts and more specifically: "Abuse of office", "Document forgery", "Eviction of crime evidence" and "Illegal construction". The Prosecution demanded 9 years in prison for him, according to Top Channel. The judge with a 18-year career chose to answer written responses to the Commission without explaining in the public hearing the allegations - inaccurate declarations, lack of financial resources, and concealment of property, - raised by the High Inspectorate of Declaration and Audit of Assets, also by the Independent Qualification Commission. The Vetting process for the chairman of the Vlora Court of Appeal included only the property criterion, while the ICQ rejected her request for the assessment of the other two criteria. 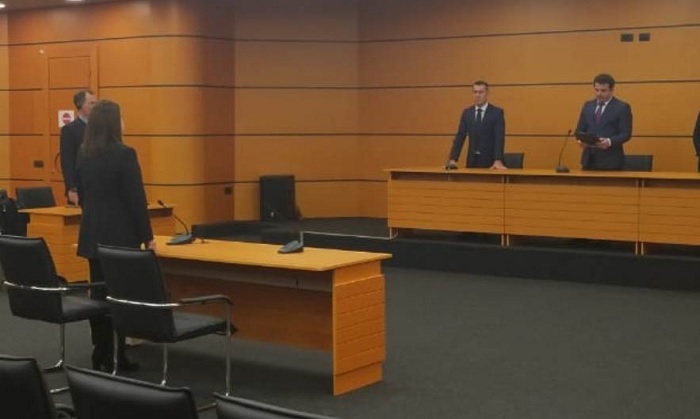 According to the trial panel led by Lulzim Hamitaj, rapporteur Jensila Pinen and member Olsi Komici, the arguments for the dismissal of Liçaj would be found in thefinal decision. According to the Rapporteur Jensila Pine, judge Alma Liçaj and her husband own a house with a surface of 120 m2 built on 215 m2 land in Vlora, a 71.80 m2 apartment in Vlora city, two apartments in Tirana purchased for 97 664 euros and 60 thousand euros as well as two residential units with a surface of 43 m2 and 95 m2, and a garage of 35 square meters in the city of Vlora.